LOC LE from Rosalynn Carmen on Vimeo. Rarely has such a dedicated advocate of Hepatitis B been involved with so many activities nationally and overseas and be talented also in the arts and music. .
Dr. Loc Le, a board certified gastroenterologist / hepatologist and the current chair of the National Task Force on Hepatitis B with Focus on Asian and Pacific Islander Americans, will be honored with the Asian Heritage Society’s Award in Public Health during the Tenth Annual Gala Ceremony Sept. 14, 2013 at the San Diego Marriott Marquis and Marina, 333 W. Harbor Drive, San Diego. Dr. Le will join 11 other recipients in categories ranging from entrepreneurship to science and technology, along with UCSD Chancellor Pradeep Khosla, this year’s Special Recognition Honoree. Very active in Hepatitis B advocacy for several years, Dr. Le is involved with Hepatitis B education, screening, vaccination, prevention, and treatment locally and nationally. A national speaker at the Vietnamese‐American Medical Association’s annual conventions on Hepatitis B and liver cancer for several years, Dr. 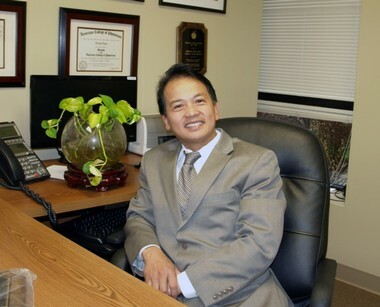 Le conducts CME lectures for the Vietnamese healthcare providers across the United States. Dr. Binh Tran, executive director of the Asian Pacific Health Foundation in San Diego, and a moderator at Dr. Le’s presentations on Hepatitis B in the Asian population, was impressed by Dr. Le’s phenomenal background with experience in academia, Hepatitis B advocacy and work in the community. Besides working at his busy practice in Baltimore, Maryland, Dr. Le is an advisor in the Vietnam Medical Assistance Program, a health student non-profit organization that conducts health fairs and seminars. The offshoot is SMASH B (Screening, Management Awareness and Solution for Hepatitis B) in 2009 to establish contact between patients and health providers to facilitate the management of Hepatitis B. In addition to his professional attributes, Dr. Le is a Vietnamese singer and poet who can declaim verses in the style of " Ngam Tho,” according to Dr. Jonathan Lam, president of the Vietnamese American Medical Association. In the last ten years, the Asian Heritage Society’s Asian Heritage Awards has become the premiere event of its kind for Southern California’s Asian community and has been called “the most festive and lavish social event for the Asian Pacific Islander community.” The event has been recognized by the U.S. Congress, the City and County of San Diego and twice cited for its public service by the San Diego Press Club, one of the largest organizations of its kind in the country. LOC LI from Rosalynn Carmen on Vimeo.